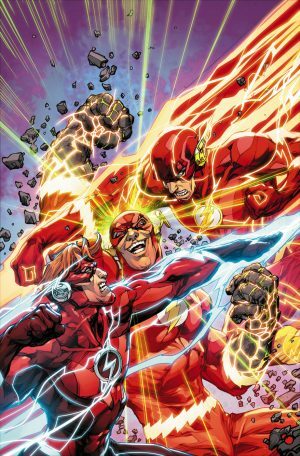 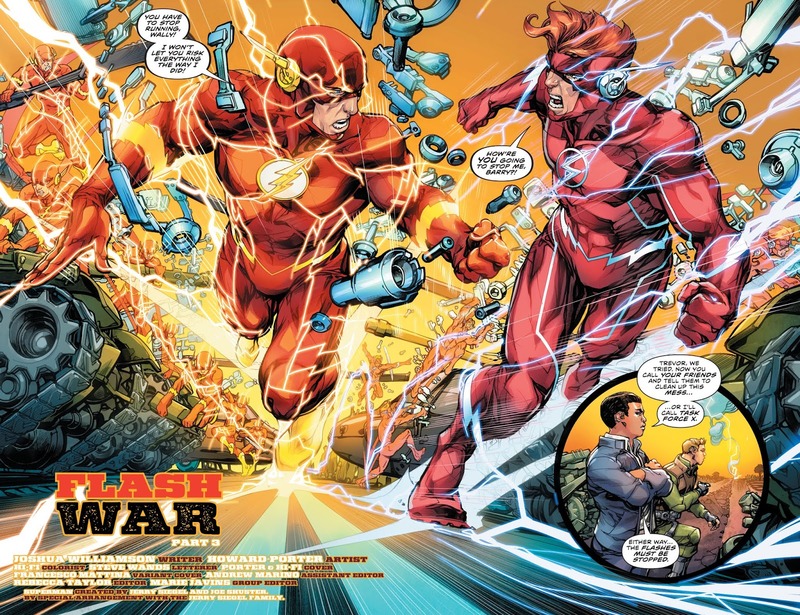 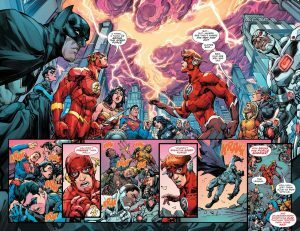 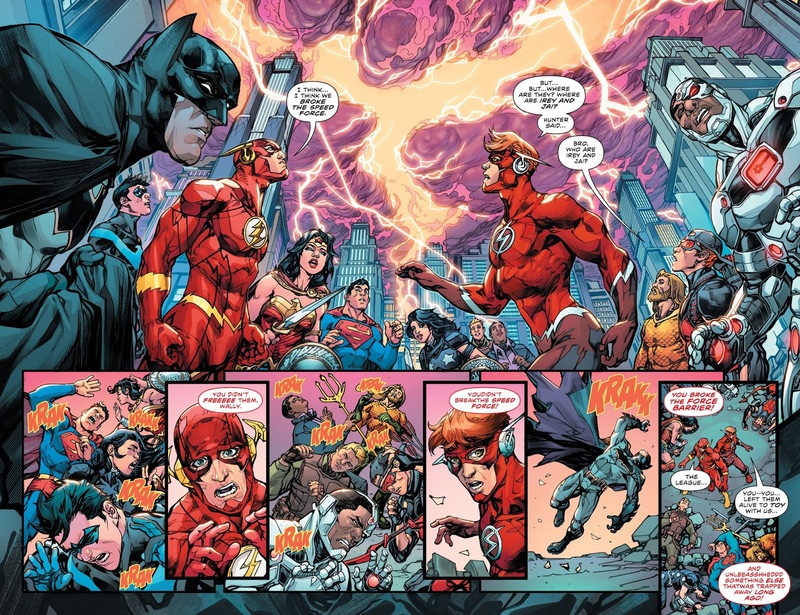 DC Comics Universe and The Flash #49 Spoilers for The Flash War Part 3 follows. 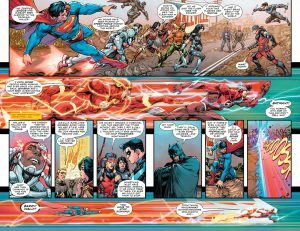 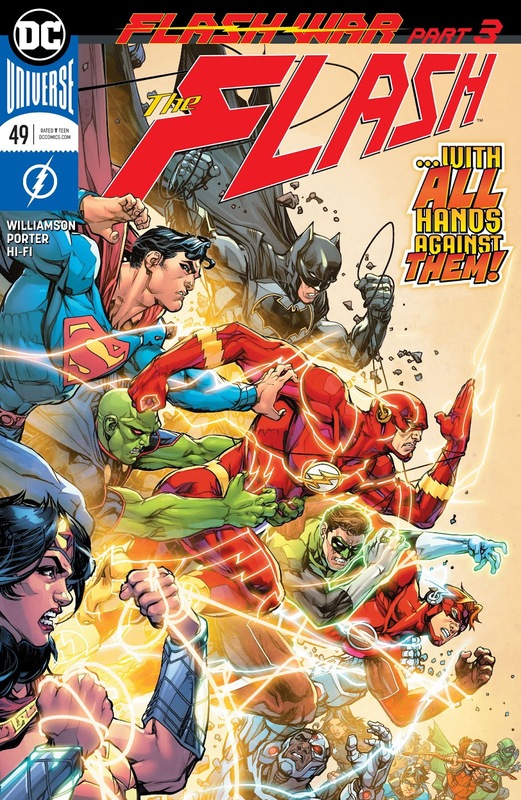 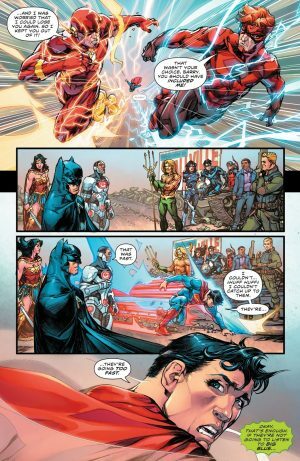 Leads To The Death Of The Justice League, Including Batman and Superman, On Way To Milestone Flash #50! 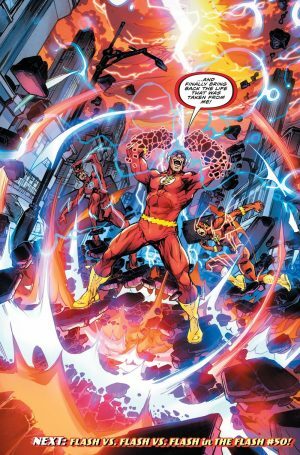 The book opens with Barry Allen trying to stop Barry Allen from creating his own Flashpoint Paradox by trying to bring his pre-Flashpoint wife and kids back to life; Wally believes Hunter Zolomon aka Zoom that he can have it all. 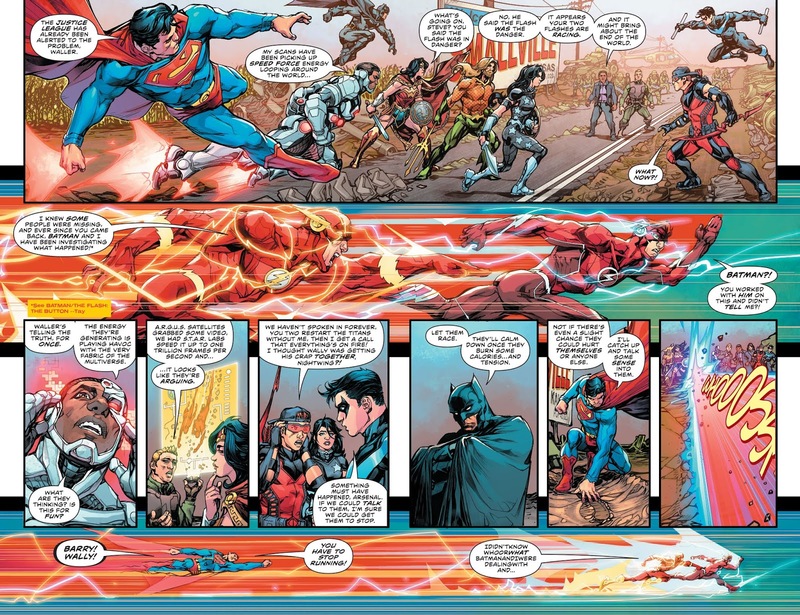 Before Amanda Waller can call in the Suicide Squad, the Justice League arrive to tackle this hero vs. hero mess. Superman tries to catch the speeding Barry Allen and Wally West, but can’t because they are too fast! 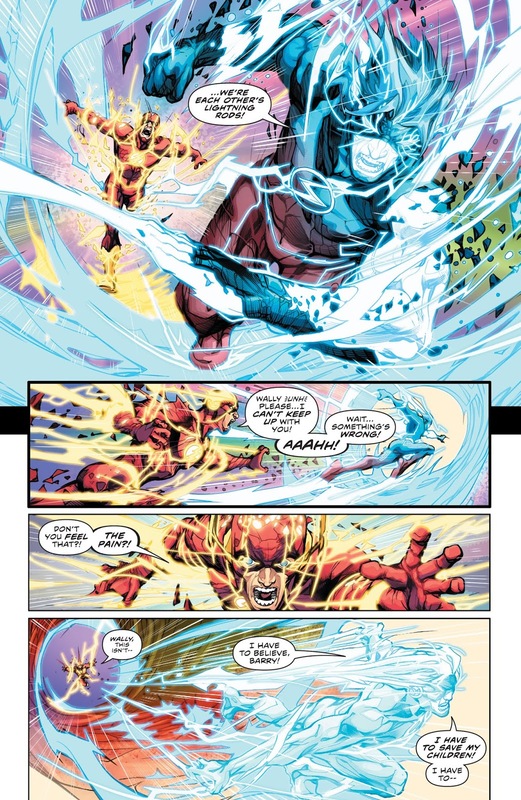 …ripping a whole in it and in time and space? 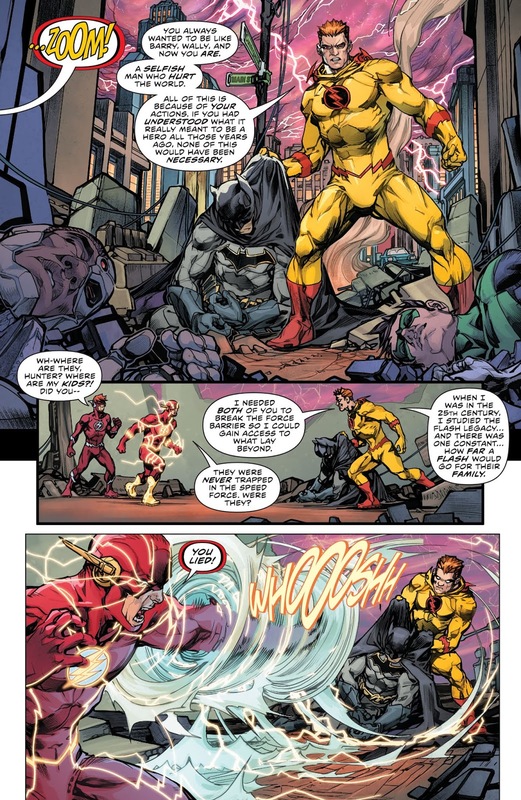 Hunter Zolomon arrives and Wally is upset because, wait for it, he lied to him! 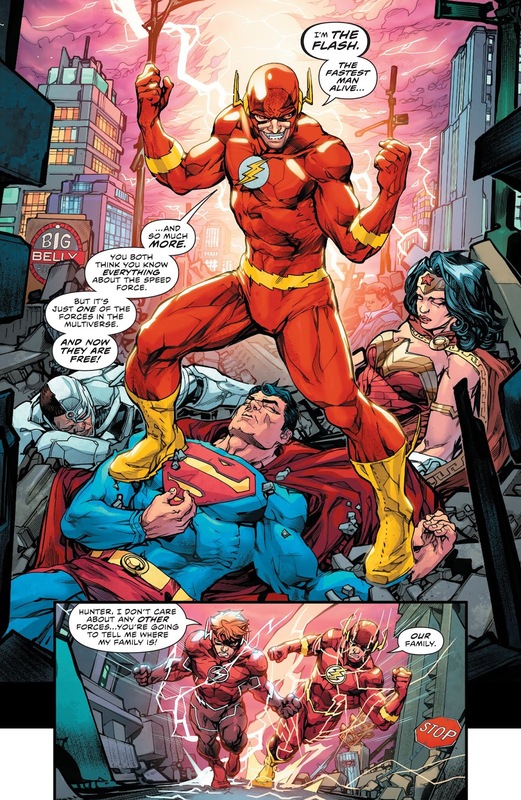 …wants to restore his own life not Wally’s! Ok, So Ebobard Thawne is Barry Allen’s Reverse Flash foil while Hunter Zolomon plays the same role to the adult Wally West. Ok. Clear? 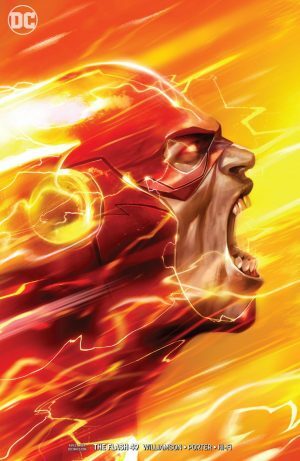 Anyhow, that’s an ending spoiled by the cover to The Flash #50, The Flash War Part 4, that was released months ago!